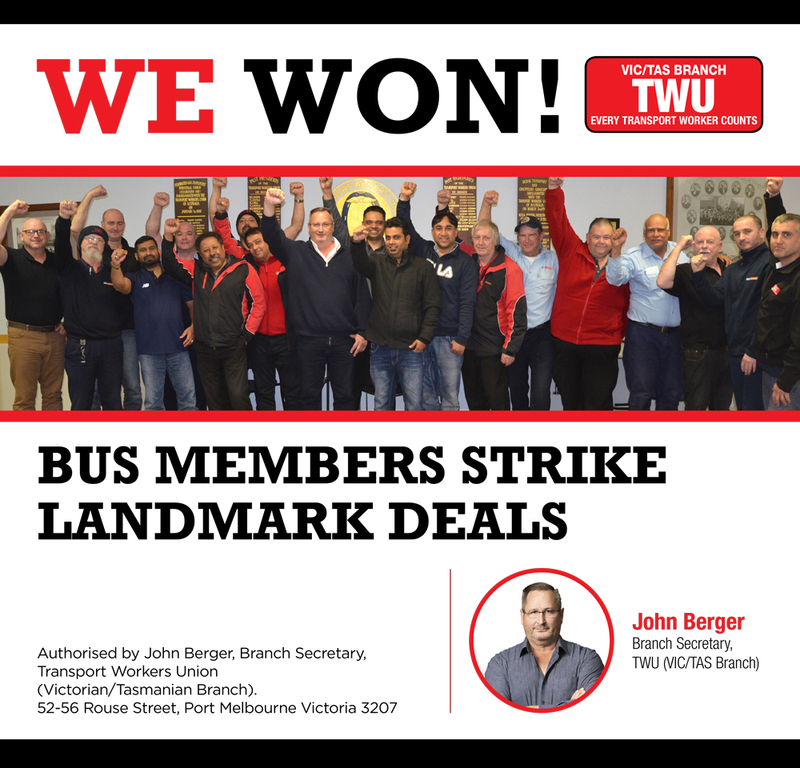 Over the last 24 hours your Delegate-led negotiating teams from CDC & Transdev have been locked in discussions to secure the future for Victorian bus drivers. Following discussions with Government and operators yesterday and today – led by Branch Secretary John Berger and bus organisers Mike McNess, Bob Lean and Imran Malik -, we are pleased to report new offers have been put on the table that meet member expectations and do not include any trade-offs. The offers include a 4% p/a increase and a lump sum payment on top of mandatory employer superannuation payments. “These hard-working members of the community have mouths to feed and bills to pay and could not see any future benefit in what was originally on the table,” he said. The CDC and Transdev negotiating committees have suspended protected industrial action planned for tomorrow. Shortly, the TWU will commence full yard meetings to communicate all the details on this historic win. The proposals will then go to a formal vote. We thank the resilience of the staunch members who demonstrated that by sticking together we win!